Home → Handy Hints → BLOCKED DRAINS? TRY DRAIN CAMERA MELBOURNE? BLOCKED DRAINS? TRY DRAIN CAMERA MELBOURNE? Just like any other problem the best way is to look for the cause of the problem first. And for plumbing problems the best way to find out is to use a drain camera. The best one in the city is Drain camera Melbourne. 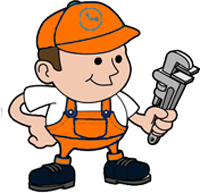 The team of Melbourne 24 Hour Plumbing has the best services for plumbing. Drain camera Melbourne has top of the line equipment and experience people that can help you with your problem. When you call us for any drain or plumbing issues, we will make sure that we will identify it right away. With the use of Drain Camera Melbourne you will be sure you get the best service ever. This is the most accurate, most cost effective and efficient way to fix your plumbing issues. HOW DRAIN CAMERA MELBOURNE IDENTIFIES THE ISSUE? They have the ability to see through your drains. As simple as peeping through a window, Drain camera Melbourne will see through your plumbing and they will identify the problem. They will survey your plumbing by inserting a small drain camera through your clogged plumbing system. The camera is then connected to a screen, where you can view the inside of your plumbing systems. As the camera continually surveys your pipes, the plumber will then identify the problem along the way. Then they will suggest the best possible solution. This is a guarantee. Your plumbing problems will be easily identified using Melbourne plumbing’s’ state of the art equipment. Drain camera Melbourne has experienced plumbers and personnel who deliver this kind of service every day, so you know you’re in the right hands. The sheer dedication of the Melbourne 24 Hour Plumbing team to their jobs can assure you the efficiency of the service they will give. When it comes to plumbing clogs and issues, name it and we will identify it for you. They can even give you a copy of a DVD that will show you the inside of your plumbing. With the visual aid given, Drain camera Melbourne can identify the very location of the problem. May it be on the top of the tube or underground, Drain camera Melbourne will find it for you. Melbourne 24 Hour Plumbing has considered that services like this can cost more from other companies. But with Drain camera Melbourne they can assure you that the service will be reasonably priced. The services that will be given are truly top of the line but still affordable at the same time. What you should also consider is that by using Drain camera Melbourne, you are saving yourself a lot of money. By simply identifying the true source of the issue and its location, you are able to save from spending more in incorrect plumbing installations. Drain camera Melbourne is the most economical repair solution ever. Melbourne 24 Hour Plumbing are experts when it comes to plumbing services. They have done hundreds of fixes around the city. So it is no question that you are in capable hands. Drain camera Melbourne is just one of an array of services that the team can offer. With extensive knowledge about plumbing and the plumbing industry, they know what you need. The company assures you that Drain camera Melbourne is not the only thing they can deliver. When the drain camera has identified the problem, they will be able to fix it with all the services they offer. Whatever plumbing issues you will have they will be able to fix it. Name it, may it be a hot water system issue, kitchen and bath issue, strong sewage smells, leaking taps, leaking toilets or running toilets, they will fix it for you. The best part is Melbourne 24 Hour Plumbing is open 24 hours, 7 days a week. They never close. So call anytime no matter how big or small your problem is. They cater to both domestic locations and corporate buildings. Wherever, whenever, if its plumbing, call Melbourne 24 Hour Plumbing.